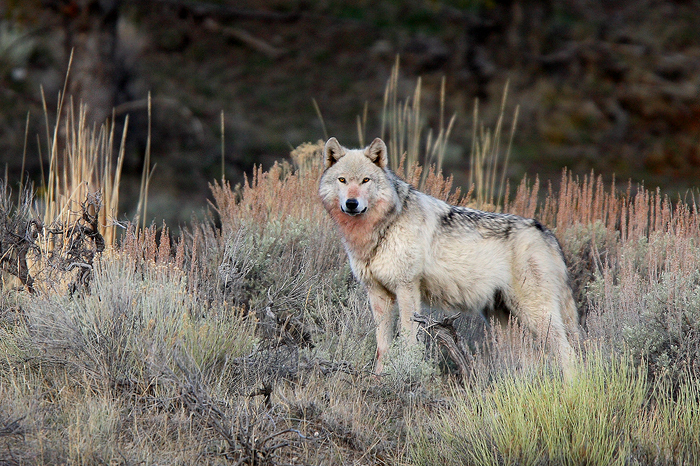 A beautiful grey wolf stands on a hill surveying her surroundings while the rest of the pack feeds below. Wolves are the subject of great controversy. Many would like to see this amazing animal erased from the earth, but the role they play on the ecosystem is critical.